Tom Stapleton’s research on albino redwoods started with searching for these rare trees in the wild and has led to the patent of three albino redwood varieties, named “Mosaic Delight”, “Grand Mosaic,” and “Early Snow,” which are albino redwood chimeras. Stapleton hopes to shed more light on understanding why these mutations exist. 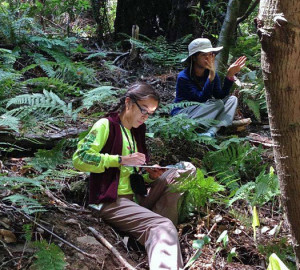 The genome sequences and the screening tools developed will allow researchers to quickly assess genetic diversity in redwood forests to inform plans that restore the health and resilience of these forests as they face environmental stressors such as climate change. Learn more in the inaugural edition of Redwoods magazine. With your annual membership of $19 or more, you’ll receive a year’s subscription to Redwoods, the new magazine of Save the Redwoods League. Redwoods are in the news this week, reminding the world once again that Earth’s tallest trees are truly ecosystems in their own right. Teeming with life from quite literally their roots to their highest leaves, the magnificent coast redwoods are home to hundreds of other species. 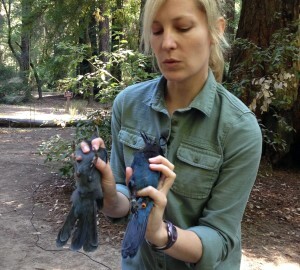 BioBlitz at Muir Woods: What Will We Find in the Canopy?